But Rose’s masterful book dives deep into discomfort. She is taking seriously what is required to create an environment where history workers and visitors can all finally “go there,” and truly confront the most disturbing and emotional implications of American history. In Interpreting Difficult History at Museums and Historic Sites, Julie grounds museum professionals in the challenges and opportunities of interpreting difficult historical topics and events. She offers readers a theoretical framework, Commemorative Museum Pedagogy, to help frame the phases that learners go through as they come to understand difficult knowledge. Julie breaks down Commemorative Museum Pedagogy into the specific elements that will help history workers build and sustain a sensitive and reflective culture within their organizations, which in turn translates to more sensitive and reflective interpretations and visitor interactions. 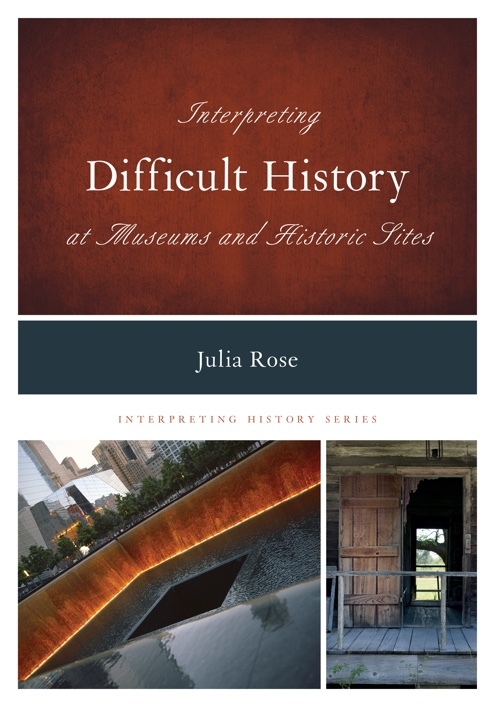 Drawing on examples from a variety of museums and historic sites, Interpreting Difficult Histories provides pedagogical context and practical techniques that are essential building blocks for creating comprehensive and conscientious interpretation. Interpreting Difficult History probes its subject matter deeply. Through examples, case histories, and an analysis of the foundations of denial and resistance, it explores the growing imperative for museums to become agents for social equity. But Rose also moves beyond argument. She offers an original and well-researched foundation for guiding the practice of confronting difficult history. Through her richly substantiated Commemorative Museum Pedagogy, Rose supports history institutions and history workers with methodology that is intellectually and psychologically sound. Rose (director, West Baton Rouge Museum) provides a remarkably thorough and thought-provoking theoretical basis for displaying “difficult” histories in public venues. By including an impressive bibliography of works that examine everything from memory to the psychology of the viewer to how to create intimacy in uncomfortable exhibit spaces, the author has broken new ground in how practitioners of public history should think about exhibiting the “history of oppression, violence, and trauma.” Divided into six chapters, the book provides a framework for defining and displaying difficult histories, along with a discussion of the ethics that surround such memorializations. Rose concludes by providing a case study as well as the five critical elements that she posits must be included in any delivery of a difficult history. She deftly illustrates that, when dealing with difficult histories, there are multiple, often conflicting points of view that must be considered in order to accurately represent what can be a painful past. In addition, difficult histories can help viewers and learners absorb and apply the lessons learned in that uneasy space to see how their actions can undo the injustices of the past in the present. Julie Rose makes a valuable contribution in Interpreting Difficult History. As sites across the country bring challenging stories to their interpretation, history workers will come upon unforeseen challenges. Interpreting Difficult History synthesizes and adapts psychology to unlock the learning processes of both visitors and front line staff . This work is critically important for museum professionals. Dr. Rose’s Commemorative Museum Pedagogy is a straightforward strategy for dealing with the particular needs and issues of contentious and upsetting history. Any historic site with a social justice focus or simply a temporary exhibition dealing with difficult topics will be well-served to turn to this book as a roadmap and training resource. This book will become a permanent part of training at the Whitney Plantation. More and more historic sites are turning toward uncomfortable and difficult topics. Dr. Rose offers in her work a look at where this field is going and how we can sensitively engage visitors who will be coming to us with diverse backgrounds and expectations. Connecting the non-specialist public with scholarship that might illuminate both past and present and shape the process of coming to terms with them is a non-trivial task, but Julia Rose illuminates a path forward. For most people who interpret the past for a living, making sense of the past is the important task; for almost everybody else, making peace with it is the emotional imperative. This disconnect helps explain why history museums have by and large not been very successful in tackling emotionally painful material. Julia Rose’s Commemorative Museum Pedagogy is an important contribution to enabling museums to play both roles, as they must attempt to do in these fraught and contested times. Rose offers strategies and methods to accomplish both or, more correctly, to assist their visitors in accomplishing both. If we want to avoid controversy and protect visitors from reacting in ways we are unprepared to handle and yet intermittently find ourselves dealing with both or if we want to arouse controversy and choose to confront visitors with emotionally fraught material but find no response forthcoming, this book also equips us to understand what we did wrong. People go to museums to encounter new ways of thinking about other people, both the living and the dead, and about the world, and also to process the insights that can come out of those encounters. They are also places with spiritual resonance where people go to ponder the universe, to experience epiphanies, to make new connections, and to mend broken ones. This book will help us help them do all that more effectively. Julia Rose is presently the director of the West Baton Rouge Museum. Her primary research interests focus on interpreting difficult histories and documenting historical enslaved plantation communities for museum interpretations. 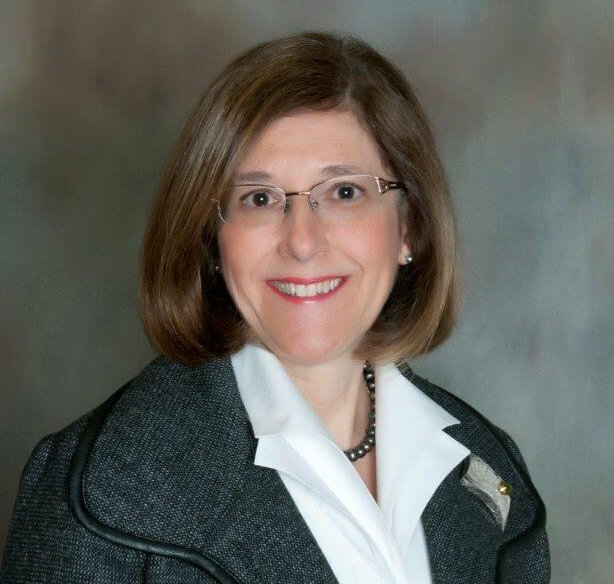 Currently, Rose also serves as the Chairman for the Council for the American Association for State and Local History, and is a board member for the Louisiana Association of Museums. She received her Ph.D. from Louisiana State University, a Master of Arts in Teaching from the George Washington University, and a Bachelor of Arts in Fine Art and Education from State University of New York at Albany. She has held curator positions at the Columbia Historical Society in Washington, D.C., Children’s Museum of Oak Ridge, East Tennessee Historical Society, and Magnolia Mound Plantation, and was a faculty member in the Master of Arts in Museum Studies Program at Southern University at New Orleans. In addition, Rose is presently an adjunct faculty member at Louisiana State University where she teaches museum studies.